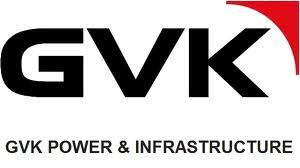 GVK Power has asked the government to consider its request for tapering linkages to meet the coal requirement of its 540 MW thermal power plant in Punjab, saying that if allocation is done the company will then be in a position to begin electricity generation from next month. “We request your kind consideration for approval of our request for a tapering linkage which will enable the company to start generating power as soon as coal is available so as to…mitigate the acute shortage of power in the state of Punjab,” GVK Power (Goindwal Sahib) Vice Chairman G V Sanjay Reddy said in a letter to Coal Secretary S K Srivastava. Tapering linkage is a short-term linkage. “Needless to add, if coal is allocated, we will be in a position to start generation from the first unit of our 2×270 MW project by mid August, 2013 and not only provide relief to government of power but also the Northern Grid,” Reddy said in the letter. He further said the development of the captive Tokisud north sub block, which has been allotted to the company for meeting the coal requirements of the power project, has got delayed while the end-use plant is in advanced stage of developement. “While all the procedural, statutory and legal clearances have been obtained, a last mile problem has arisen on the issue of land for substitute afforestation. “It is stated that most of the land required for this purpose has been handed over to the the forest department, Government of Jharkhand, a balance stretch remains in the face of extremist activities and the sheer inability of the staff to complete work of survey, demarcation and erection of pillars,” the letter said.